With a father and grandfather crazy about music and spinning records, it was bound to happen that Amsterdam based dj Tettero would develop a similar musical enthusiasm. Unsurprisingly then, already at an early age Tettero began deejaying and organizing various events in Haarlem and Amsterdam. In 2008 this kick-started in a residency for the famed RUSH events at Chemistry. From then on Tettero has landed residencies for various clubs and venues such as Woodstock 69, Club Stalker and AIR, while also performing prime time at leading Dutch (electronic) music fes- tivals, varying from 5Daysoff to Lowlands and Dance Valley, among many others. By virtue he became frequently lined up alongside a variety of musical heavyweights. As such, for his Lowlands performance in 2010 he was pro- grammed right in between Fat Freddy’s Drop, Air and Groove Armada. In that same year he also did a back2back set with almighty adept Ben Westbeech. Yet he also has dropped sets lasting up to eight hours and more, in particular on long summer nights at beach club Woodstock 69. 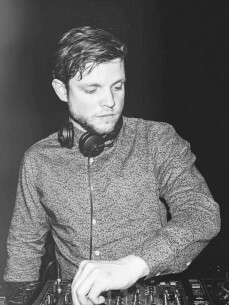 With over ten years of experience in the Dutch club and fes- tival scene, Tettero has countless of gigs on his name. Similarly he has had several bookings in the international club scene in cities as Berlin, Frankfurt and Gent. Even more so, he has become reckoned for his wide variety in styles, flip-flopping between house, disco and techno.